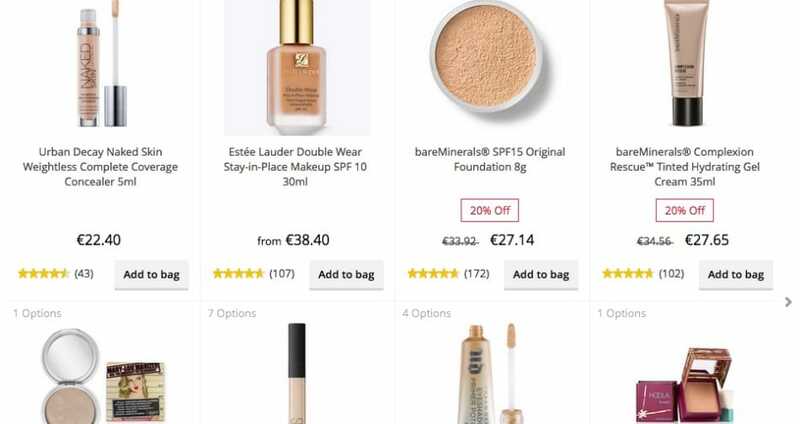 Beauty retailer Feel Unique has in the region of 600 brands to choose from and when it comes to its Black Friday UK sale you can bet you will be in for a treat with amazing deals to be had. The cater for all selling fragrance, bath & body, hair, skin, makeup, sun products, shaving and more. When the Feel Unique Black Friday deals are listed the top ones we feel are the best will be listed here on this page. If we miss anything then you can add or see any offers others have added below. Maybe you are looking for the Feel Unique advent calendar or simply wish to find a discount code. Keep checking back on a regular basis because this is going to be a great Black Friday sale and when they go live they will be shown on the official Feel Unique website as well. Looks like the two most popular Feel Unique Black Friday deals are the Clarisonic Radiance Full Kit which was £199.99 knocked down to £99.50 and the NYX Professional Makeup Lush Lashes Mascara – Badunkadunk 15ml reduced from £6.50 down to £4.50. Love the fact the have a claimed bar, which tells you what ones are the most popular. They also have a section called UPCOMIG DEALS which shows a timer when they are. The Black Friday event is now live where you can choose beauty deals or brand offers. Feelunique will be taking part in Black Friday on the 25th November, this should take place all day. FREE Jurlique Your Gift Of Luminous Skin worth £64 when you spend £45 or more on Jurlique products. It is Feel Unique’s birthday and they are offering 20% Off – 2 Days Only and they are giving you 20% off when you spend £80* using code YELLOW. *Brand exclusions apply. Offer ends midnight BST 12th October 2016.